We have created an in-house loyalty program to help your family achieve fantastic oral health care, without dental insurance. We value your loyalty. For our patients without insurance, we’ve launched our loyalty program to simplify payments for preventative care. Our loyal members also save money on treatment. Membership clubs are not insurance but a payment arrangement provided by Crown Pointe Dentistry, PA for services rendered. Memberships are provided exclusively to uninsured patients of our practice and shall not be considered pre-payment for future services or payment for access to discounted services. Rather, our patient members are electing to make regular monthly subscription payments for preventive care instead of paying at the time of each service. Payment for any cosmetic or restorative treatment is due at the time of service. Membership dues must be current in order to receive services. A lapse of 28 days in dues will require a reactivation fee of six months’ dues. Membership club discounts may not be combined with any other offers or discounts. It is solely the patient’s responsibility to schedule and keep their appointments. No refunds will be provided for dues paid under any circumstances, including failure to schedule and maintain appointments. A patient member’s monthly agreement is with the legal entity of Crown Pointe Dentistry, PA. Monthly dues and fees for dental services may change at any time. Payment management services are provided by illumitrac℠. Crown Pointe Dentistry provides cutting edge care using the latest technologies. Our patients enjoy the comfort and safety of digital imaging, 3D CBCT scanning technology, and goop-free intraoral scanning for the fabrication of crowns, bridges, and other appliances. Life is busy. Crown Pointe Dentistry makes it easier with email and text appointment reminders and confirmations. 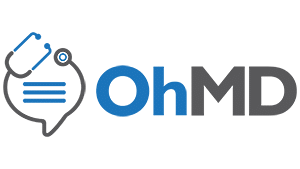 OhMD is a medical messaging platform that allows patient to securely contact their doctor or dentist via a secure smartphone app. It is free to the patient and it only takes about 30 seconds to sign up. Click the button to download the app to your smartphone. 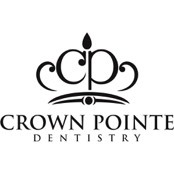 Create a free account and search for "Crown Pointe Dentistry." 100% HIPAA Secure. Just need to send a file securely to our office? Use the upload link below.